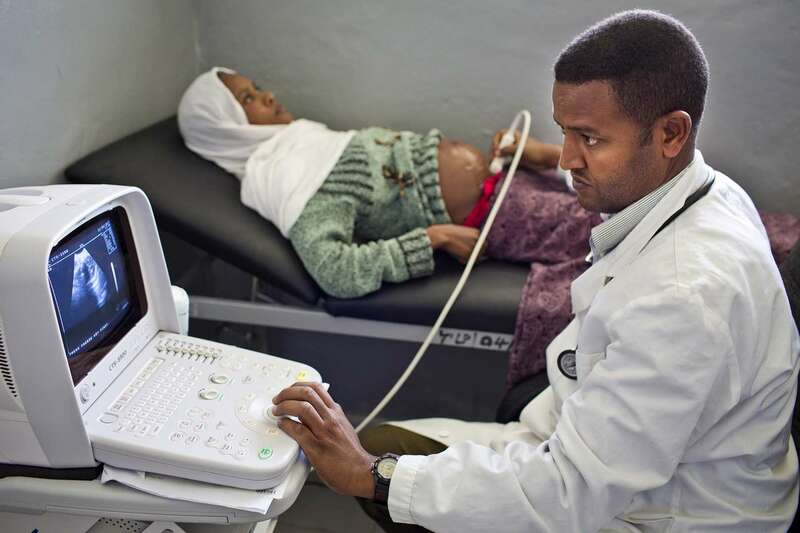 Dr. Goitom Berhane performs ultrasound at Korem Hospital in Tigray region of Ethiopia 21 August 2013. The hospital was completed in the summer of 2013 with the support of UNICEF, and will now provide access to healthcare to over a quarter of million people in the surrounding area. The Town of Korem was the epicenter of 1984 Ethiopian Famine.